Recreate virtually any natural metal finish on plastic models using these special lacquer colors. Designed for airbrush application only, colors are premixed in Buffing (which can be polished to various degrees of sheen) or Non-Buffing types. 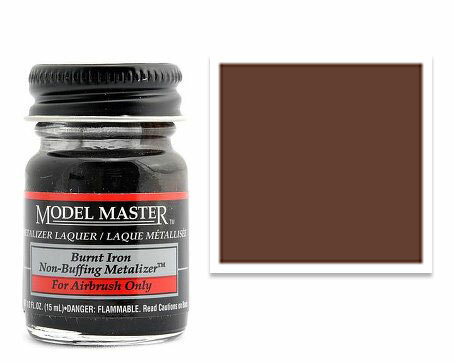 Copy this Model Master Non-Buffing Metalizer Lacquer – Burnt Iron to your MY ACCESSORIES roster. See more products from Testor Corp.